This model was originally produced and sold by Scott Hamilton's Atomic City, but has been purchased and re-released under the MRC brand. 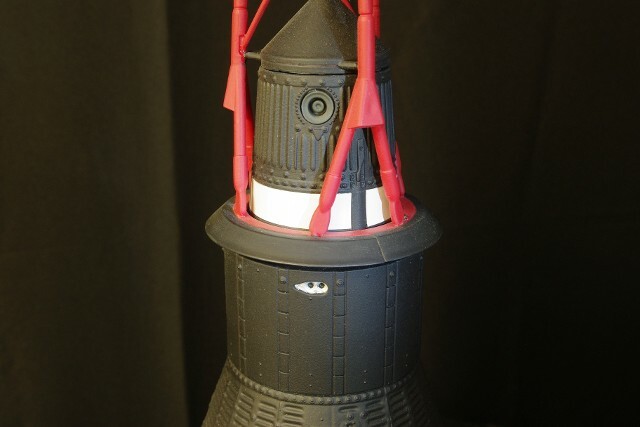 The kit is without question the best detailed model of the Mercury Spacecraft yet produced and done is a scale that allows the realism of that detail to shine through. I liveried the capsule as "Sigma 7," in honor of one of my "heroes" of the Astronauts, Navy Captain Walter ("Wally") M. Schirra. Cpt. Schirra was the only one of the Mercury Seven who flew in Mercury, Gemini and Apollo. 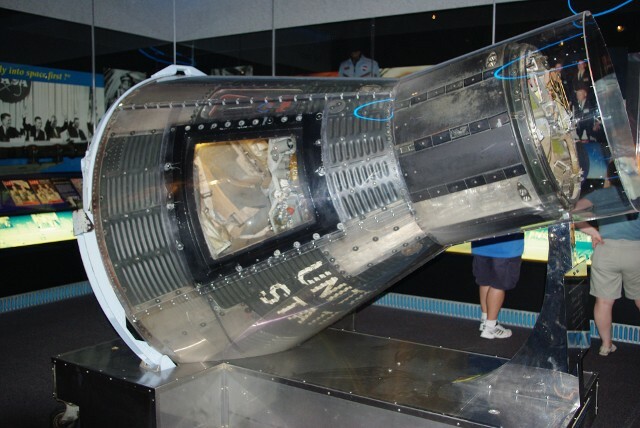 His Sigma 7 capsule is currently on display at the Astronaut Hall of Fame in Titusville, Florida, near KSC. 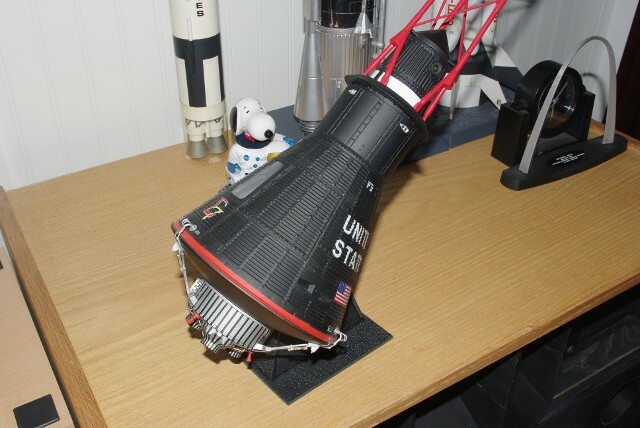 The scratch-built display stand holds the model at a 40 degree angle and was "patterned" from the capsule stand I saw years ago at "The Prologue Room" - the factory display room at McDonnell-Douglas in St. Louis, which is now owned by Boeing. McDonnell Aircraft built both the the Mercury and Gemini Spacecraft. 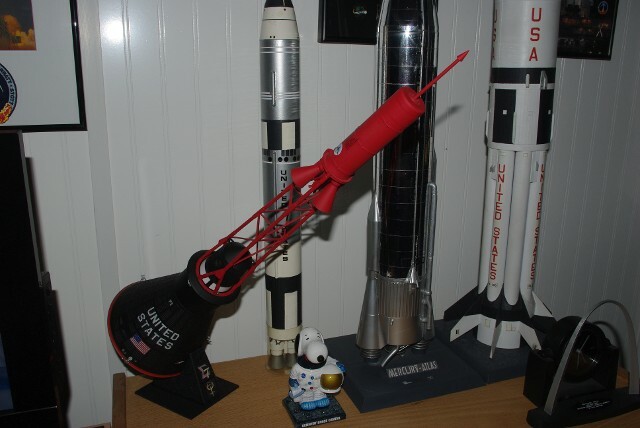 The kit decals were provided by Space Modeling Systems and provide exceptional detail. 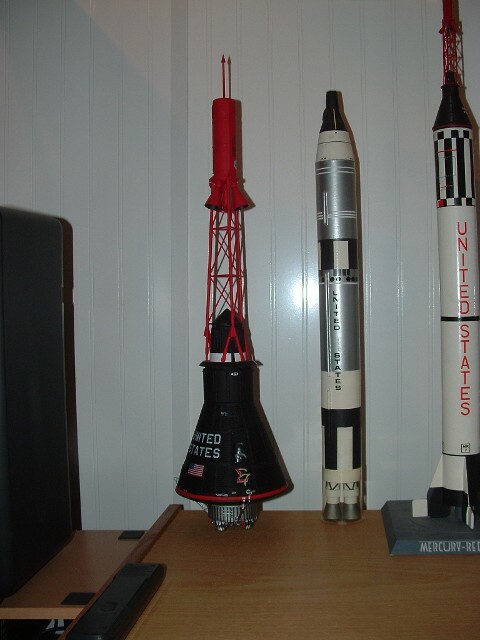 The model was designed to allow for display both with and without the Escape Tower. I added small screws to secure the tower in place while on the angled display stand. The Retro-pack hold-down straps are a combination of plastic and metal parts. 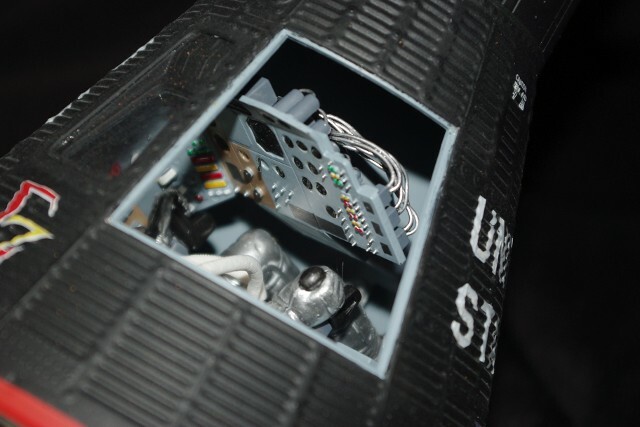 The instrument panel was very detailed, but careful application of the decals, painting of the switches and indicator lights, and the addition of rear-side cables to the instruments really amps-up the realism. 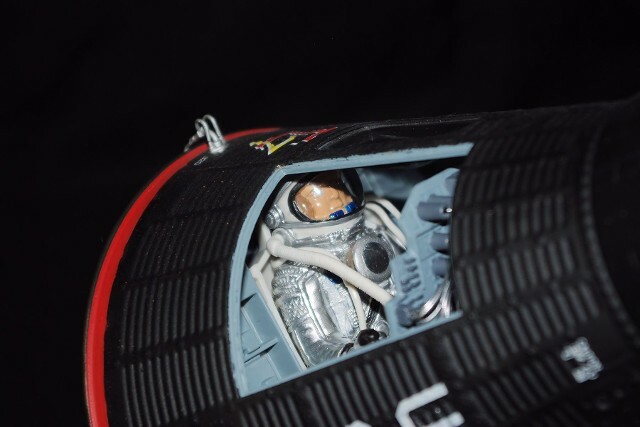 The astronaut figure is finely detailed, and careful painting is required to complete the effect. Looks like Wally's got "go fever." 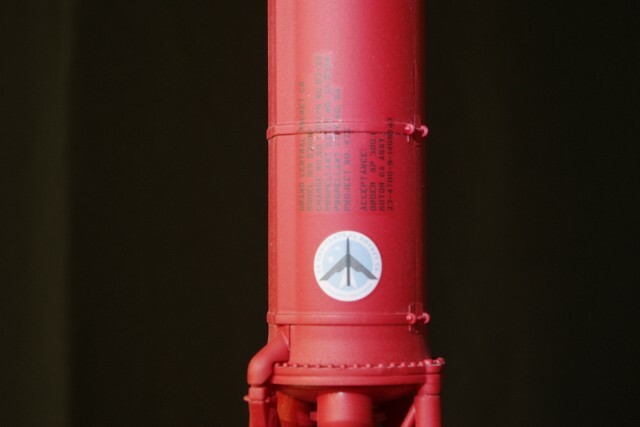 The detail of the Escape Rocket is exceptional, especially the decals, which provide the original manufacturer's markings. The term "sigma" in mathematics means the sum of the elements. 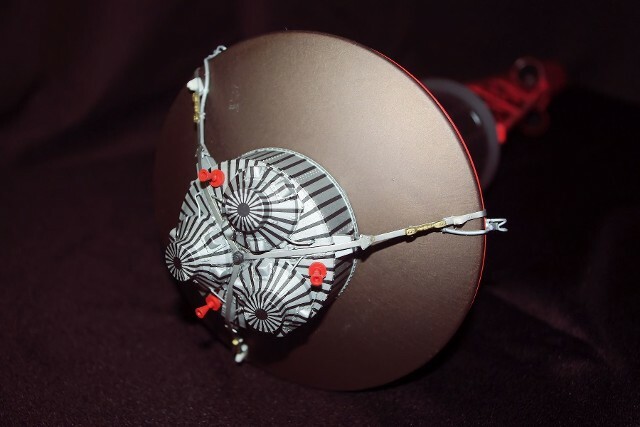 Schirra chose this as his flight insignia, as he wanted his flight to reflect the sum of all the flight information gained in Project Mercury thus far, and add to it. 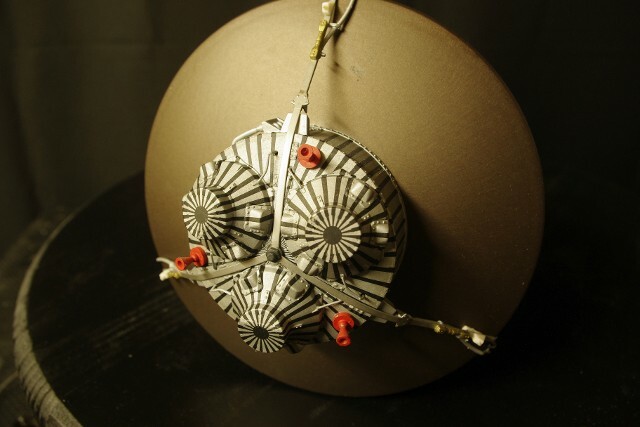 He flew, as was typical for Wally, a near "text book" mission. 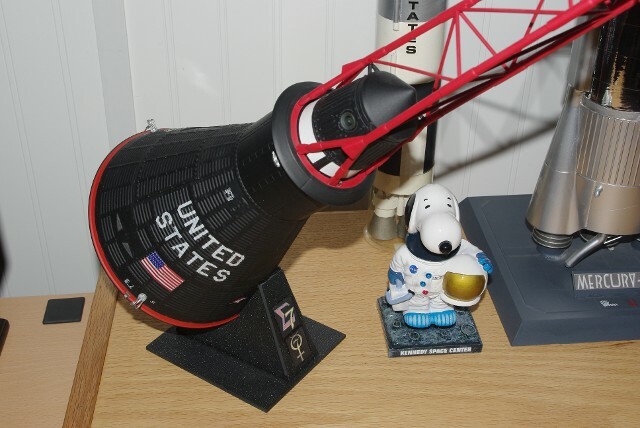 This is the REAL Sigma 7, when she was sitting on display at the original Astronaut Hall of Fame in Titusville, Florida, which was just a few miles from the KSC Visitors Center. The Hall of Fame is now part of the new "Heroes & Legends" exhibit at the KSC Visitor's Complex. Schirra was always one of my "favorite" astronauts, as he kept vigil with Walter Cronkite during all of the CBS News coverage of the Apollo flights, from Apollo 9 to 17. "Wally" became a good friend to all of us Americans by doing those broadcasts.